PLEASE NOTE: WE ARE NOT ABLE TO GUARANTEE ARRIVAL IN TIME FOR CHRISTMAS IF YOU ARE WISHING TO PURCHASE AS A GIFT. COLLECTION ONLY IF FOR CHRISTMAS GIFT. PLEASE NOTE: WE ARE NOT ABLE TO GUARANTEE ARRIVAL IN TIME FOR CHRISTMAS IF YOU ARE WISHING TO PURCHASE AS A GIFT. THE POST FORCE ARE VERY BUSY AT THIS TIME OF YEAR AND IT MAY NOT REACH YOUR LOVED ONE IN TIME. YOU WILL BE ABLE TO USE YOUR CONFIRMATION IN THE MEANTIME AND WE WILL CONTINUE TO POST AS AN WHEN YOUR ORDER IS PLACED. 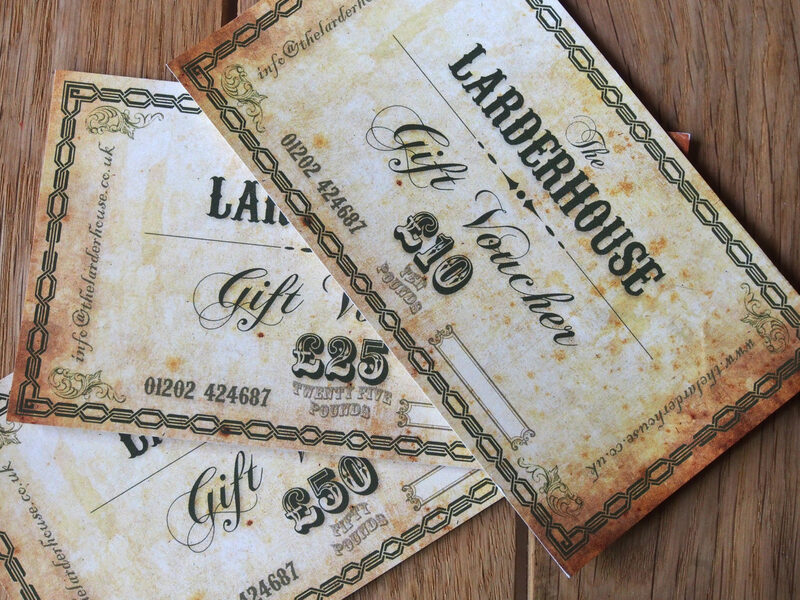 WARM REGARDS, THANKS & FESTIVE GREETINGS, THE LARDERHOUSE TEAM.